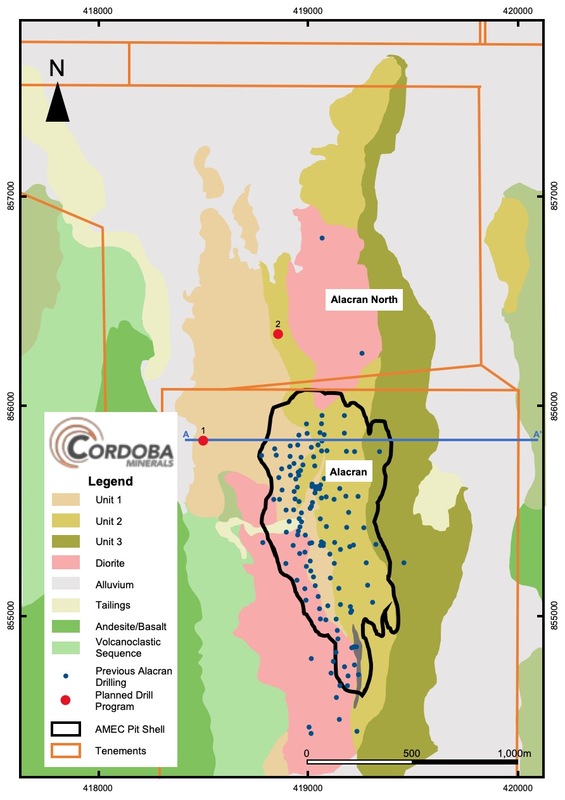 Cordoba Minerals Provides an Update | Cordoba Minerals Corp.
TORONTO, ONTARIO, April 8, 2019: Cordoba Minerals Corp. (TSX-V:CDB; OTCQX:CDBMF) (“Cordoba” or the “Company”) today provides an update on exploration activities in Colombia and details of a planned diamond drilling program at the Alacran copper-gold deposit, located within the 100%-owned San Matias copper-gold project. 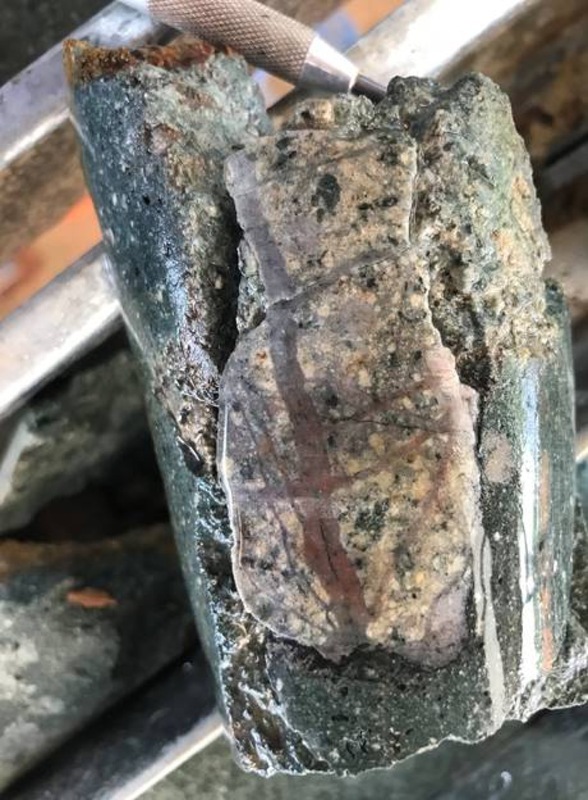 Recent fieldwork has confirmed the prospectivity of the Willian target, located along strike and six kilometres south of Alacran. 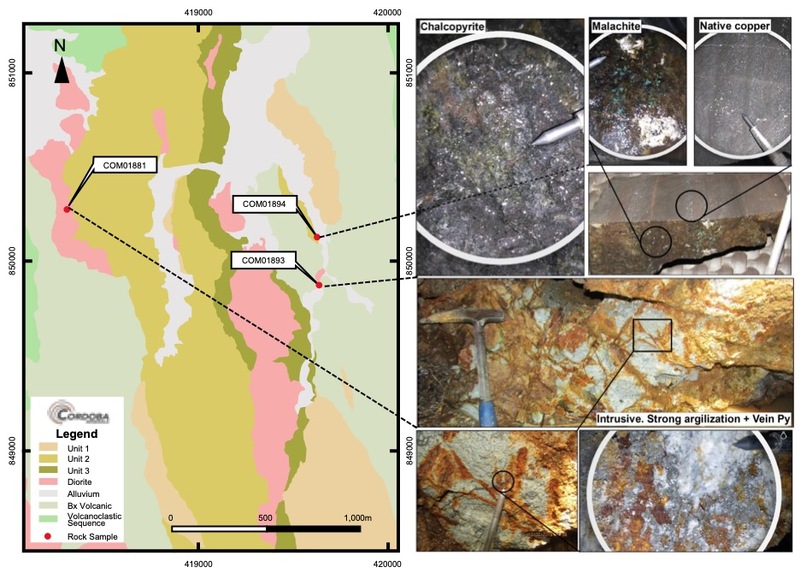 Willian is hosted in similar stratigraphy to Alacran, and was previously identified as an area of interest after outcrop samples of sericite-altered crystal tuff returned assays of up to 8.95% copper (refer to Cordoba’s May 2, 2018 news release). Subsequent exploration has included a program of rock and soil sampling covering an area of 2 x 2 kilometres. The technical information in this release has been reviewed and verified by Charles N. Forster, P.Geo., a Qualified Person for the purpose of National Instrument 43-101. 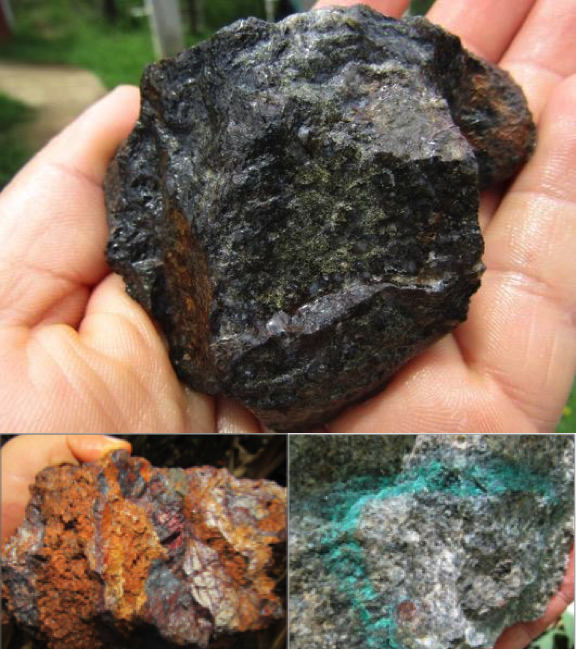 Mr. Forster is the Vice President Exploration for Cordoba Minerals and for High Power Exploration Inc., Cordoba Minerals’ majority shareholder, and is not considered independent under National Instrument 43-101. This news release includes “forward-looking statements” and “forward-looking information” within the meaning of Canadian securities legislation. 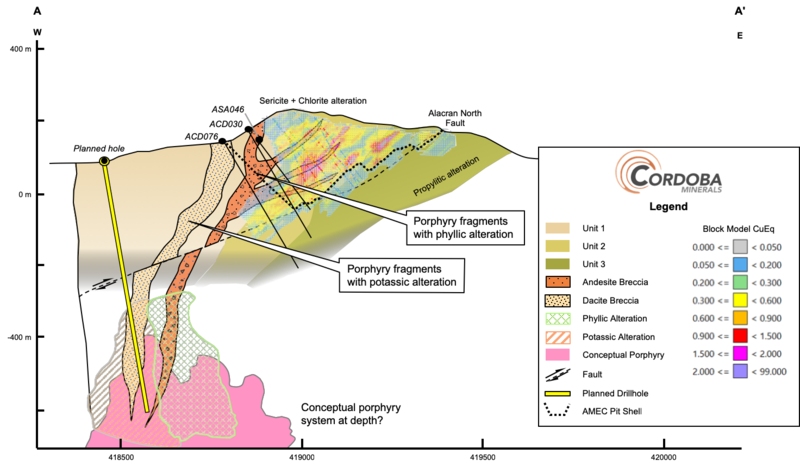 All statements included in this news release, other than statements of historical fact, are forward-looking statements including, without limitation, that exploration will lead to the discovery of the potential porphyry source of the Alacran deposit and the possible northern extension; the exploration diamond drill program may be increased; fieldwork at Willian has identified a new exploration target; and ongoing exploration will lead to potential discovery. Forward-looking statements include predictions, projections and forecasts and are often, but not always, identified by the use of words such as "anticipate", "believe", "plan", "estimate", "expect", "potential", "target", "budget" and "intend" and statements that an event or result "may", "will", "should", "could" or "might" occur or be achieved and other similar expressions and includes the negatives thereof.